Eight ways depression gets overlooked in adults. As people age, the ways they show depression changes. In mature adults, depression can often be overlooked. As people age, the symptoms of depression change and treatable depression is likely to be dismissed as just a part of the normal process of aging. Younger people commonly express their sadness by crying. Among older adults, depression is more likely to manifest as withdrawal, hopelessness, loss of appetite, and apathy. Symptoms of depression in mature people are often misinterpreted as aches and pains. Depressed people of all ages are likely to self-medicate emotional problems by using pain relievers. Untreated depression in older adults can lead to their failure to take care of their physical needs. 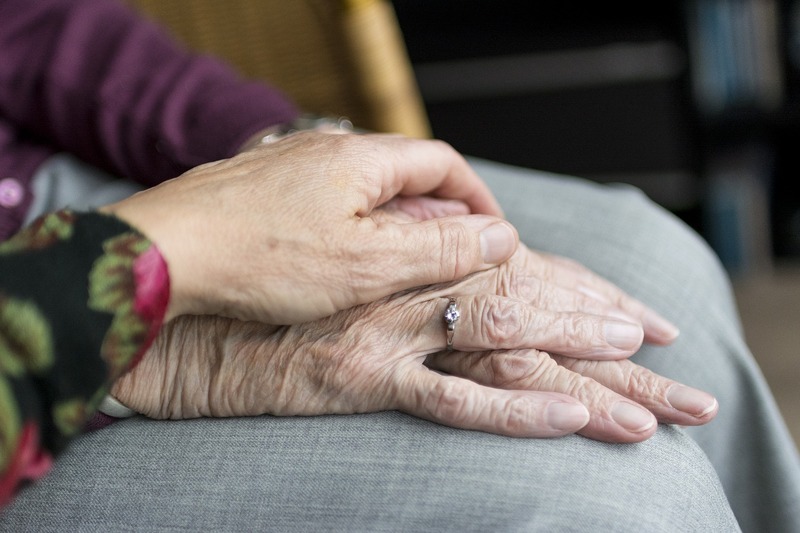 Failure to recognize and treat depression among older adults can make the course of their physical illnesses worse and can result in an increased risk of suicide. Gerontologists have recognized many ways in which depression in older adults can be overlooked. Here are eight ways depression often goes unnoticed in older adults. 1. Joint and back pain can be symptoms of depression. Joint and back pain can be symptoms of depression, or they can lead to depression. One study found that the more joints that are in pain, the more likely the person is to have depression. If someone has joint pain or back pain, they need to see a medical doctor and get that pain treated, but they also need to be screened for depression. Pain can be depressing, but depression can make the pain feel worse. 2. Cognitive impairment may be depression rather than aging. Problems with memory and thinking among older adults may well be the results of depression rather than age-related disorders. A lack of motivation, apathy, is a characteristic feature of depression. Depression leads to confusion about your options and what to do. The longer the depression goes untreated, the higher the risks it will be dismissed as cognitive impairment due to aging. 3. Chest pain can be made worse by depression. Having a heart condition or chest pain can lead to depression. People with depression are likely to experience those pains more acutely. While you shouldn’t neglect medical treatment for chest pain, an older adult who has chest pain should also be screened for possible depression and treated for depression if it’s present. Having depression leads to poor compliance with the doctor’s instructions, not taking medication as prescribed, and a poor prognosis. 4. Irritability is a common symptom of depression. Regardless of age, when you don’t feel well, you’re more likely to be irritable and push people away. Among older adults with depression, irritability is such a common symptom; it is almost universal. If you find that you’re becoming more irritable as you age considered getting professional help for possible mental health issues. Depression may also express itself in other negative emotions. Guilt, shame, fear, anxiety, and loss of hope all feelings that may be associated with depression. 5. Headaches, especially migraines, can be a sign of depression. One large study found that among those people with migraines, more than half also had depression. This connection can run in either direction. We can’t be sure whether the headaches caused the depression or being depressed increases the chances of headaches and migraines. If headaches have begun to interfere with an older adult’s life, they should be screened for depression and anxiety disorders. 6. Digestive problems can be a sign of depression. One of the core criteria symptoms for depression is changes in appetite. In younger people with depression, we usually see them either unable to eat or binge eating large amounts of food. In older adults, these changes in appetite may also be reflected in nausea, constipation, diarrhea, or other gastrointestinal upsets. 7. Changes in sleep patterns may be caused by depression. There are two types of depression recognized, melancholy depression, and atypical depression. In melancholy depression, people can’t sleep or sleep poorly. In atypical depression, the person will be chronically tired and spend an increased amount of time in bed. Some changes in sleep are common across the lifespan. But if an older adult finds they are having trouble sleeping or sleeping a great deal more than usual, that change in sleep may be a result of an underlying depression. 8. Increased use of alcohol and drugs are connected to depression. In the past, there’s been a tendency to excuse increased alcohol consumption among the elderly. They don’t need to work anymore and why shouldn’t they enjoy themselves? The truth is drinking to intoxication is not likely to be enjoyable. Depressed people tend to drink more, and alcohol is a depressant, making the heavy drinkers more depressed. Drinking to intoxication has been linked to a massive increase in the risk of suicide. For older adults, even a small amount of alcohol can make their physical health worse. Historically, as people grew older, most of them, gave up their use of drugs. The baby boomer generation has tended to continue their use of drugs well into their retirement years. 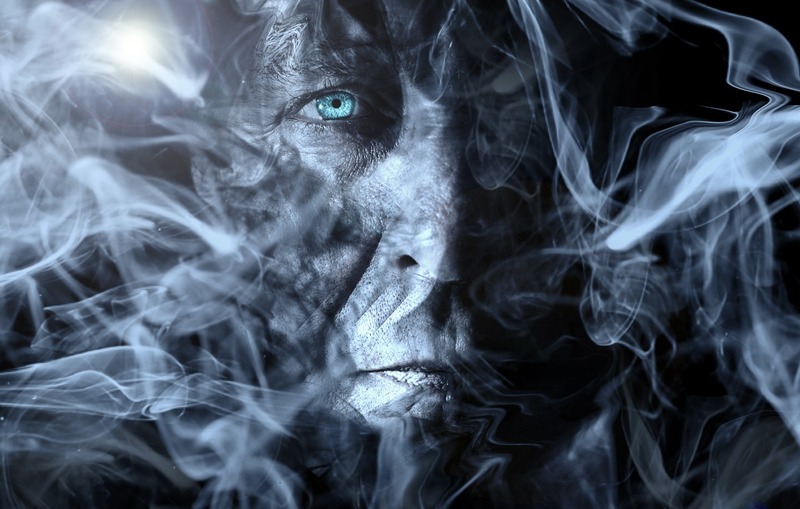 Escalating drug use can be a symptom of depression in older adults and can lead to creating and exacerbating physical health issues. How to Guarantee a Relapse. Are you at risk of relapse? The concept of relapse generally applies to people with a drug or alcohol issue, where people develop a problem, go through a process of recovery and create a new, clean and sober life. Recently we’ve come to believe that people with mental health problems, anxiety or depression even conditions like psychosis that were once considered incurable can do recover. Both addiction and mental illness are chronic conditions. With any chronic disease, there is always the presence of a risk of a return to active symptoms. Whether your problem is drugs, alcohol, depression or anxiety, certain behaviors can keep you on the road to recovery and other actions that increase the risk you will fall back into active symptoms. Here are some of the things people tell themselves that increase the risk of relapse. Don’t hang out with healthy, sober friends. They are no fun anyway. You probably have some friends; maybe you should call them acquaintances, that are not the healthiest people out there. There’s a temptation to tell yourself that now that you have recovered you can hang out with those old friends and not be pulled back into your disorder. Sometimes those friends are drinking and using, other times they are just negative, unhappy people. If the people you’re hanging out with damage your self-esteem or tempt you to engage in the activities that created your problem in the first place, deciding to spend time with them is a relapse in the making. Ignoring your feelings increases the risk of relapse. Internal feeling states are tremendous relapse triggers. If you are starting to feel lonely, sad, or angry, don’t ignore those feelings. Relapse and active substance abuse usually begin in the mind well before someone picks up the substances. Trying to pretend you’re not feeling what you’re feeling put you at risk slipping back into active substance use. Self-medicating your feelings with drugs or alcohol will increase your emotional issues. Alcohol is a depressant it will make you more depressed. Using chemicals to medicate anxiety works only very temporarily when the substances wear off the anxiety will be even worse. Telling yourself, you can control your problem now leads to relapse. The great fallacy of many alcoholics is the belief that after a few years without drinking they have been cured and can now drink safely. People with a history of drug problems often come to believe they’ve learned so much about their addiction that they can now control it and will never fall back into a full-fledged addiction. Having once gotten over your anxiety or depression people often return to a bad relationship or an unhealthy work situation, thinking that this time they will be able to handle precisely the situation which triggered their depression or anxiety in the first place. Don’t tell yourself that relapse is a part of recovery. People who believe that everyone relapses give themselves an excuse to relapse. If you tell yourself that you should start planning yours now. Somewhere along the path of recovery, many people start to tell themselves since their problem is a chronic condition that should expect to relapse. While the return of active symptoms is common is by no means required. Recovery requires active maintenance of the things that got you better. Accepting the idea that relapse is inevitable amounts to giving yourself permission to relapse. After recovering from one issue, trying another problem leads to relapse. Many people with a drug problem tell themselves that they need to find another activity to replace that. Sometimes they try a different drug in the belief that they will be able to control their usage. Looking for the same thrills, some people turn to gambling or risky sexual behavior. Switch to using alcohol, marijuana, or prescription medication they’re not risky, right? The widespread prevalence of alcohol and more recently marijuana has led many people to believe those substances will be easier to manage. A well-hidden fact is that the majority of drug overdose deaths are the result of consuming multiple drugs. Use of the “legal drugs” alcohol, nicotine, and more recently marijuana can be a first step on the return path to an addictive or dysfunctional life. Just because the doctor gives you a prescription for something doesn’t make it safe. The recent epidemic of drug overdose deaths has largely been fueled by the abuse of prescription medications often in combination with alcohol or street drugs. Trying to make up for lost time increases the risk of relapse. Once you’ve gotten out of rehab for your depression and anxiety has reduced to the point it’s not controlling your life it’s very tempting to try to make up for lost time. Some people take a full-time job, go back to school full-time, and start a new relationship all in the first few months of recovery. Trying to do too much, too rapidly, can overwhelm you and reverse all the progress you’ve made in creating a life that works. How many of these relapse risk factors have you allowed in your life? Books are now available on Amazon, Kobo, iBooks, Barnes & Noble,Google Play, and many other online stores. Reasons why people avoid therapy. Why are you avoiding counseling? Many people avoid going to the doctor as if seeing a doctor would be the cause of their illness. Avoiding counseling, in one form or another, is even more common than avoiding medical treatment. Most people who put the effort into counseling see improvement in their lives. Here are some of the reasons people commonly say they are avoiding therapy. Doesn’t going to therapy mean I am weak or crazy? Not at all. Going for treatment does not mean you’re weak or giving into your symptoms. What it does say is that you are willing to face your problems. We used to think that there were two kinds of people, normal people, and the mentally ill. We now know that being mentally healthy requires more than lack of illness. The things we call mental illnesses are treatable. Facing your problems reduces their impact on your life. The fear of being diagnosed as mentally ill is a throwback to the days when there wasn’t an effective treatment for mental illnesses. Our system of care used to be designed to try to immediately cure people. If you break a leg, a doctor can set it. When we didn’t have effective treatments for mental illness being diagnosed meant there was no hope. Today we know that there are talk therapies which have been shown to be effective in curing some mental illnesses. Even those that can’t be cured can be made substantially better. Seeking treatment for a mental health challenge does not mean you’re weak. It says you are acting to make your mental life healthier and happier. Highly successful athletes still have coaches. My view of counseling is that it should function in a similar way to coaching. The goal should be more than merely detecting what’s wrong with you. It should also entail finding solutions to your life problems so that you can have a happy, productive life. In the same way that a baseball player or a golfer can’t see their own swing, many people can’t see the unhelpful thoughts. A counselor can help you with other ways to look at your problems and help you learn the skills to overcome life’s difficulties. One significant difference between counseling and life coaching is the professional counselors and therapists are specially trained in diagnosing and treating mental illness. In most places, they are also licensed. While some life coaches can help you work on becoming more successful professional counselors can help you with the depression or anxiety that is interfering with your life. You are afraid your secrets will get out. Counselors are committed to keeping what you talk about with them confidential. Outside of a few legal exceptions, such as plans to kill yourself or others and abuse of children and the elderly, what you are going to talk to the counselor about will not leave the consulting room. Questions about what is and is not confidential and what counselors would keep confidential is one of the most common reasons people visit the counselorssoapbox.com blog. For more about confidentiality, please look at the posts under Law and Ethics. Talking about your problems is embarrassing. Talking about your problem could be embarrassing. During their career, counselors hear a substantial number of secrets. Chances are your counselor has heard something remarkably like what you’re about to tell them. They’ve also studied the kinds of problems to bring people to counseling. Counselors try to approach people empathetically, being able to mentally put themselves into the client situation. They also try to practice unconditional positive regard. Regardless of your problem or what you have done in the past, the counselor wants to see the best in you and try to help you change and become a better person. It’s not the counselor’s job to judge you. You believe your problem is beyond help. Some life problems are more difficult to treat than others. Talk therapy can help even those people with the most severe mental illnesses to improve the quality of their lives. Many people are surprised to find how much their problems are like the problems of others around them. I believe that while some mental illnesses can’t be cured, all of them can be managed. Recovery from mental illnesses just like recovery from addiction and alcoholism is possible. You’re looking for an instant solution like medication or drugs and alcohol. Overnight successes are often the result of years of struggle and practice. Medication can help you manage your symptoms, but it won’t eliminate all your problems. Quick fixes like drugs and alcohol can distract you from your life problems for a while, but eventually, they quit working and living with an even more serious problem called addiction. You believe counseling will cost too much or take too much time. Counseling for mental health challenges is often covered by insurance. Even if you had to pay out-of-pocket, you should compare the cost of getting counseling with the costs you incur trying to solve the problem with other methods. Couples sometimes think they can fix the relationship with a romantic weekend somewhere. They spend thousands of dollars on that trip but then tell me they can’t afford to come for marriage counseling. The cost of marriage counseling is substantially less than the price of obtaining a divorce. Compare what you will spend in time and money to get a two-year or four-year college degree. Education is an investment in yourself. If your mental or emotional problems prevent you from being successful in school or in life, all that effort and money will have been wasted. Investing in your mental health is one of your best investment opportunities. You don’t believe your life could get any better. When you’re deep in life’s problems, it’s hard to see how things could get better. Counselors are trained to help people overcome life’s difficulties. If you’ve lost hope, the counselor may help you get it back. If it feels like nothing you’ve done in your life has worked may be working with the counselor can help you find the things that will work. You’re convinced the solution is moving, changing jobs, or changing partners. It’s easy to move through life thinking that your problems are where you live. People tell me that they can only move somewhere else then they would be happy. When I asked him why they don’t do it, they give me all kinds of reasons why they must stay where they are and be miserable. Wherever you are, whatever work you are doing and whoever you are in a relationship with you are responsible for your own feelings. Counseling can help you learn how to make the best out of where you are and how to decide when it’s time for a change. You believe the problem is someone else. People often believe that their problems are someone else’s fault. If that person would only change they could be happy, or maybe only less depressed and anxious. Counseling can’t change that other person, but it can help you improve your thinking and behavior. Sometimes if you change the way your living your life, the other person will change. Even when you can’t change others, you can find ways to reduce the impact they’re having on your life. Have you been telling yourself you need to talk to somebody about your problem? What’s holding you back from finally taking responsibility for your life and seeking out the help you need to create the most effective life possible? What if talk therapy isn’t working? What should you do if counseling doesn’t seem to be helping? Some people come to counseling for a couple of sessions and then drop out saying that counseling doesn’t work for them. Other people come for therapy over a very long period, and while they feel counseling is helping them, other people don’t see any change. How do you evaluate the progress you’re making in therapy? If you don’t feel you’re getting the results, you would like to see in therapy your progress, or lack of progress should be the primary topic you talk about with your therapist. Here are some questions to ask yourself and some of the factors that impact the effectiveness of therapy. Is your problem acute or chronic? Some problems are acute. Something has happened, and you can tell your counselor what happened and when. Treatment for acute problems can be very brief. You decide you need to change something in your life, or you may need to accept the change which has happened. What you may need is an empathetic person you can tell about what happened you. The problem some more chronic you’ve always been common anxiety, or you don’t ever remember being happy. Treatment for these problems is like treatment for a chronic medical problem. Managing long-term mental health problems can be like managing high blood pressure or type II diabetes. The professional may be able to help you initially, but a significant part of the process will be your learning life skills to manage your problem over the long term. How long have you been in therapy? When you’re in pain, whether it’s emotional or physical, you want it to stop. Go to the doctor he can give you pain meds, or he can look for an underlying cause and treat that issue. If you have gone to therapy for a while but aren’t feeling better discuss with your counselor how long treating your condition should take. Many people have unrealistic expectations for talk therapy. Treating emotional problems is a process. How long this process will take depends on your specific diagnosis and your personal characteristics. 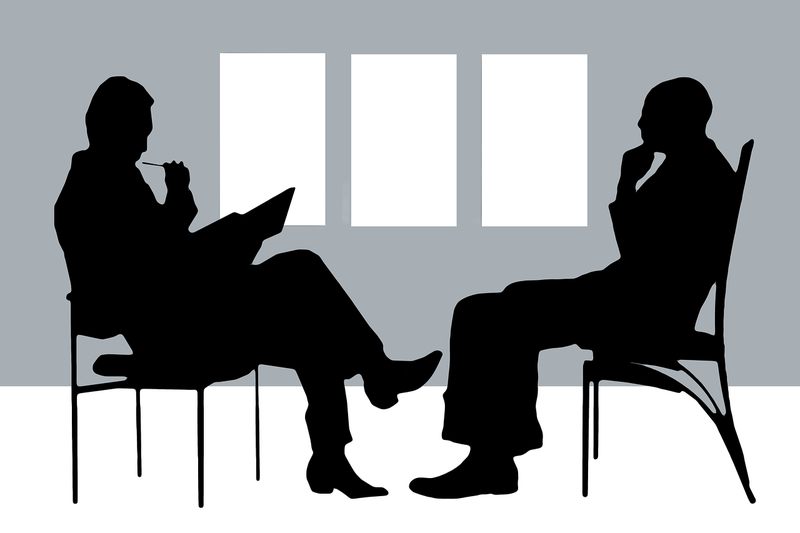 How good is your relationship with your therapist? Most of talk therapy is done through conversation. The best predictor of success in treatment is the relationship you have with your counselor. If you feel uncomfortable discussing certain things with that therapist those unsaid things could be holding back your progress. Ask yourself if the problem is your difficulty in talking about what you need to deal with or in your lack of trust of the counselor. Not every counselor is a good fit for every client. If you have been working together for a long time and don’t see progress, you may need to try working with a different therapist. Are there some problems you’ve avoided discussing? The issues you don’t deal with are the ones likely to be keeping you sick. Sometimes people go to counseling and talk about the surface day-to-day events. Every time you go you feel a little better. But if you never get down to the real core of your issues, each session is like a Band-Aid placed on a deep wound. Therapy can involve treating deep emotional pain. Looking at your core issues can be uncomfortable. The process can be like peeling an onion. You go as deep as you can and then you cry little. When you have process that material fully you go a little deeper. Over time you can heal all these deep wounds. Are you working on your problem between sessions? Your problems are with you between sessions. 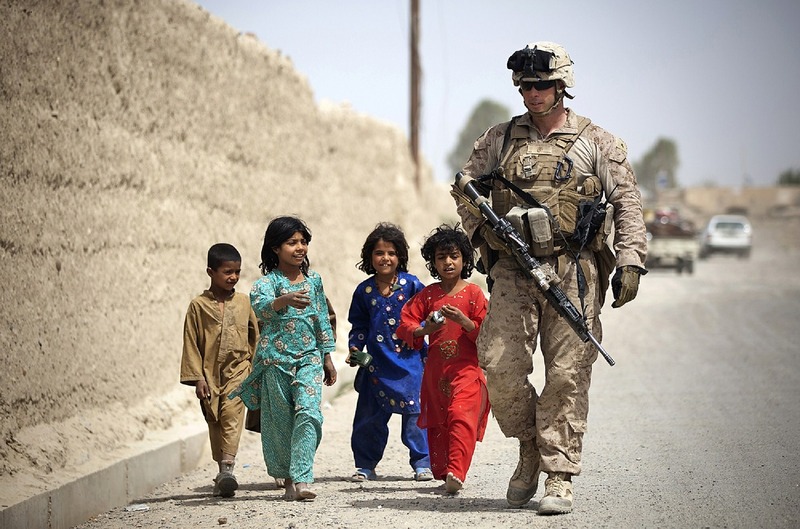 Talk therapy can be very instrumental in healing past wounds are in clarifying values and goals. For things to change in your life, you need to start making changes. For every one-hour a week of therapy, there will be 167 other hours when you’re not in therapy. If your counselor is teaching new skills in session, you need to practice those skills outside of the therapy hour. The students who learn most in school not only attend class but also do homework outside of class. You can’t become a great musician by taking a weekly lesson. You need to practice your music between lessons. As you learn new emotional skills, you need to practice those skills between therapy sessions. You’ll make more progress if you have clear therapy goals. When reason people don’t make good progress in the therapy is fuzzy goals. Think about your goals for treatment. Discuss these goals with your counselor and make sure the counselor is working towards the same goals. Consider adding medication to talk therapy. Medication has not been shown to cure any mental or emotional illness, but medication can be very effective at managing symptoms so that you’re able to work on the causes. I’ve had lots of clients tell me they don’t want to take medication because they don’t want to become dependent on drugs. Unfortunately, many of those same clients are using alcohol, marijuana, gambling, or sexual addictions as ways to manage their problem. Newer psychiatric medications are much safer than the medicines that were available in the past. Discuss medication with your medical doctor and your mental health provider. Medication and therapy together are often more effective than either separately. Alcohol can affect your body in a great many ways. Alcohol is so much a part of our society that we tend to take it for granted. That can be a costly mistake. The World Health Organization recently reported that one in every 20 deaths each year was attributable to problems caused or made worse by alcohol consumption. VA hospitals said that more than half of their hospital beds were occupied by people with issues connected to alcohol use. Many people are poorly informed about alcohol and the problems it can cause. It’s easy to believe that alcohol-related issues only happen to alcoholics or people who frequently get drunk. Even small amounts of alcohol can make medical issues worse. Alcohol affects your blood in several ways. Alcohol is highly water-soluble, meaning it mixes readily with your blood. Blood flows throughout your body reaching every cell. Consumption of alcohol may interfere with some of the vital functions of your hematological or blood system. Alcohol can contribute to anemia in several ways. Alcohol contributes to anemia by interfering with the production of red blood cells. Alcohol in the bloodstream interferes with the healthy nutrition needed to produce red blood cells. One of the breakdown products of alcohol metabolism, acetaldehyde, is believed to interfere with the ability to utilize iron, an essential part of red blood cells ability to distribute oxygen throughout the body. Alcohol can result in defective red blood cells. Many people are familiar with the way doses of alcohol can result in infants born with fetal alcohol syndrome. Alcohol, and its breakdown products, poison and deform growing cells. Deformed red blood cells can’t do their job. Some alcoholic beverages contain lead or other heavy metals further damaging blood cells. Alcohol damages white blood cells. White blood cells are an essential part of your immune system, your body’s defense against infection. Chronic alcohol use affects white cells. Just how much alcohol, spread out over how what amount of time, it takes to damage white blood cells is hard to estimate. Once white cells are damaged or destroyed, they can no longer fight infections. Alcohol consumption increases the risk of severe infections, especially in the respiratory tract. Alcohol reduces the effectiveness of white cells both by reducing their number and interfering with their ability to adhere to bacteria. When you drink, your white cells get intoxicated and can’t do their job. Alcohol damages platelets and increases bleeding. Platelets are an important part of your blood clotting system. As alcohol consumption increases, the likelihood of developing bleeding problem increases. People with severe alcohol use disorders are likely to bleed in the intestinal tract, these gums, the nose, and many other places. Heavy drinkers are likely to bruise easily. Alcohol interferes with the production of platelets. Alcohol interferes with the livers metabolism disrupting blood clotting factors. Alcohol the bloodstream interferes with the production of blood clotting factors. Not only can it reduce the ability for the blood to clot where needed, but it can also result in clots forming where they shouldn’t be created. Alcohol damages the immune system in several ways. The body has two separate immune systems alcohol interferes with the functioning of both. Excessive alcohol consumption has been found to increase both the severity and the progression of HIV/AIDS. Much of the damage alcohol does to the hematological system is reversible with abstinence. The primary connection between alcohol and its effect on the hematological system is because of alcohol’s impact on the liver. Heavy Alcohol consumption is well-known to cause cirrhosis of the liver. But alcohol consumption is connected to four separate liver ailments. 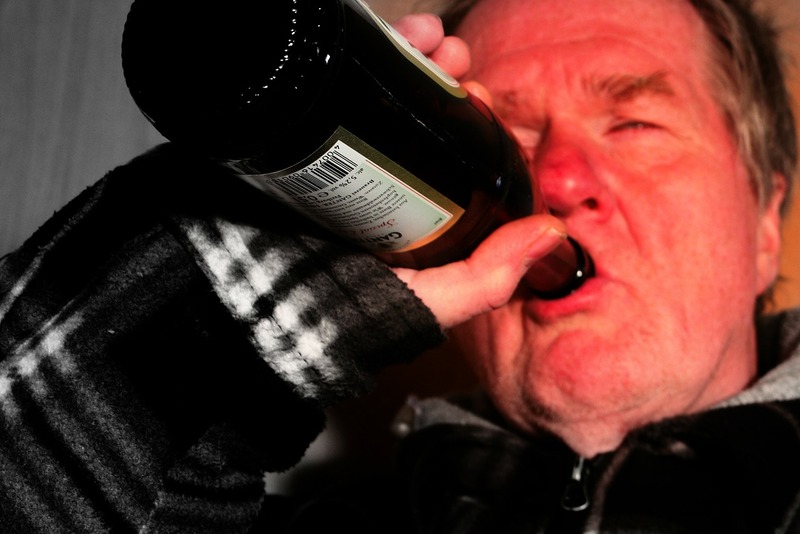 Some of these liver impairments can be by as little as one or two binge drinking episodes. Once alcohol consumption has damaged the liver damage to other systems in the body may not be reversible. Who’s most likely to have alcohol caused hematological problems? Not everyone who consumes alcohol will develop permanent damage to the body. Two groups are at exceptionally high risk. 20% of the US population consumes 80% of all the alcohol drunk in America, these heavy drinkers are highly likely to develop alcohol-related issues as they age and the liver function declines. The second high-risk group for alcohol-related problems is those people who may not drink on a regular basis but when they do drink and up intoxicated. The damage alcohol does to the body on anyone drinking occasion is related to how high the blood alcohol content goes on that occasion. 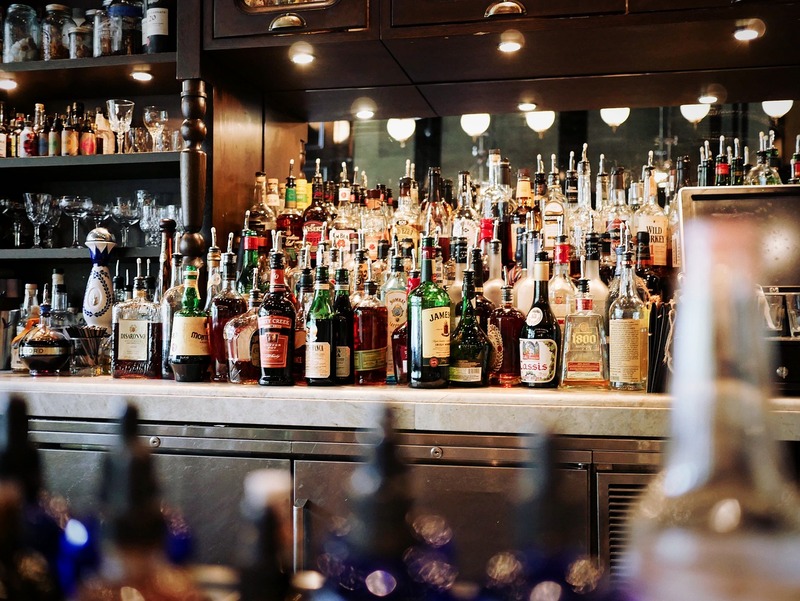 In addition to the well-known problems connected to getting drunk, like DUI’s and violence, binge drinking can also result in damage to the body and an increased risk of being infected if you are exposed to bacteria or virus. Many of the students in my substance abuse counseling classes are surprised at the many ways alcohol can affect the body, emotions, relationships, and society. If you’re interested in more information on this topic you might want to take a look at the book we use for that class; Loosening the Grip. A Handbook of Alcohol Information, 11th edition, Jean Kinney, MSW. The difference in mental health services for youth and adults. When it comes to mental health services what’s needed and what’s actually provided can vary tremendously. Treatment for each client should be individualized. Therapy for children needs to be appropriate for both their age and their developmental stage. There are also some differences in the way the counselor or therapist may need to approach treatment. In selecting a therapist, it’s important to find someone with both the training and experience required to work with the person receiving services. Here are some of the differences between mental health services for youth and adults. The therapist needs to speak the same “language” as the child. Children don’t have the vocabulary to describe feelings. Children often express themselves by actions rather than words. For very young children therapy is best done through speaking the language of “play.” How a child expresses themselves through action will change as they age. What’s appropriate for a baby to say at age six months will be very different from what they should be saying at five years. The same is true of their behaviors and the way in which they play. Children are usually referred to therapy because an adult has either recognized the problem or is afraid the child may develop a problem. The counselor must consider whether the reason this child is in therapy is because the child is doing something an adult doesn’t want them to do or because they aren’t doing something the adult wants them to do. More than one female single parent has brought their male offspring in for counseling because they did not want that child to “be just like their father.” In these cases, often the father was either physically abusive, drug-addicted, or engaged in criminal activity. Unfortunately, being told repeatedly that you are “just like your father” can be extremely damaging to the child’s development. In cases like these, where a parent is projecting their own issues and negative life experiences on to their children, the counselor tries to help the child develop the skills to make their own healthy choices. Frequently, what needs to happen is for the parent to get into therapy for their issues and for help in becoming a more effective parent. The counselor will at most see the child for an hour a week, while the parent will provide the care for that child for 167 other hours each week. Lifespan development issues are important. If a child isn’t hitting their developmental milestones, walking, talking, learning schoolwork and appropriate behavior on time, this warrants a referral to medical or mental health professionals. Unfortunately, many parents have unrealistic expectations for their child. Parents often push their children to do things that they are not developmentally ready for. I’ve had parents request that their child be assessed for ADHD because the child was getting B grades instead of straight A’s. Children may be afraid to tell the truth. While the child is often the one identified as having the problem, it’s entirely possible the problem is with the home situation. Children who grow up in a home where parents have frequent violent fights may be awake all night. When they go to school, they can’t concentrate because of their lack of sleep and their fears about what is going on at home while they’re at school. If they witnessed domestic violence, they might learn to use hitting as a way to get what they want. While the child is referred for assessment for attention problems the real issue may lie with the parents. Children are afraid to report problems at home for fear that their parents will punish them or that they may be taken away from their parents. Many children are taught not to talk to strangers and to never talk about families “business” outside the family. Children from lower socioeconomic status homes may be embarrassed. Children may have been instructed not to talk about parents who are engaged in illegal activity, or they may be reluctant to talk about having a parent or caregiver who is incarcerated. Many problems are not identified until the child gets older. I see many files for teenagers in which they were treated in the early grades for developmental issues. Later they were treated for attention deficits. In middle school and high school, they may have been treated for bad behavior. It’s not until late high school or college that some of these clients are diagnosed with severe depression. It’s important that anyone working with children not write off poor attention and behavioral problems as a result of “bad child” diagnoses. A specialist in child developmental issues should be looking for serious mental health issues such as anxiety disorders and depression. Children may need help in developing life skills. Counselors working the children must be careful not to think that it’s the child who has the problem. Sometimes what the child needs are the skills to cope with a dysfunctional family and a challenging world. Social skills are tough for some children to develop. The majority of adults who develop anxiety disorders had the symptoms by the end of middle school. Counselors may need to normalize the challenges of growing up. Most children go through a stage of feeling insecure and worrying about whether they measure up. Helping the young client through the transition periods can reduce or possibly even prevent the development of anxiety disorders, eating disorders, and other mental health problems that are the result of judging themselves in overly negative ways. These are some of the major differences between working with children and adults. The techniques and materials the counselor uses are also likely to be different. Please feel free to leave additional questions or comments. You need to process those feelings. Unexplored feelings are like unopened mail. Imagine going into your email and randomly deleting as many emails as possible. That email from a friend – mark it delete. The email from the electric company and the mortgage company delete those unopened. Can you imagine going along randomly clicking delete without knowing what was in the email? Some people try to avoid bills by not opening the mail. While that may avoid having to deal with problems for a while, eventually the power gets shut off, or the home goes into foreclosure. Those and many other issues could have been solved just by paying attention to the notices you are getting. Some people think feelings are to be avoided. Somewhere along the line, I’m guessing back during the Victorian era; feelings got a bad reputation. In their effort not to be carried away and controlled by feelings, being rational and unemotional was elevated to a virtue. The problem that created was making feelings into our enemies rather than our friends. Feelings can be valuable sources of information. It turns out that emotions and feelings can be valuable sources of information. By some estimates, more than half of all your nerve cells are located outside your head. There are nerve cells surrounding your stomach and intestines. They can tell you when you’re hungry or when your intestines are in distress. Those same nerve cells can also communicate information about dangerous or unpleasant situations. When you say that someone makes you sick to your stomach, there’s truth to that statement. Your nervous system is reacting to that person and preparing to ready you for the flight or fight response. When we say that someone is a pain in the neck, this is a very tangible sensation. The nerve cells which connect your brain to the muscles in your neck have sent the message to tighten those muscles in preparation for an emergency. Unpleasant feelings can also motivate you to act. Loneliness can make you miserable. Loneliness can also tell you that you aren’t getting enough human contact. Humans are inherently social animals. Living in groups increases our chances of survival. Feeling lonely can motivate you to reach out to others and increase your social connections. Feeling tired both physically and emotionally tired is one of the early signs of burnout. Feeling tired warns you that the energy you are expending exceeds the available resources. Rather than being an interference with what you’re trying to do that feeling of being tired is a warning that you need to attend to your bodies physical and emotional resources. Trying to avoid feeling unpleasant emotions can harm you. Many people get themselves into serious trouble by attempting to avoid experiencing unpleasant feelings. Using drugs and alcohol to cope with anger, loneliness, or feeling tired, may anesthetize those feelings in the short term but eventually, those efforts to escape dealing with those feelings results in creating an even larger problem, alcoholism or drug addiction. You shouldn’t pretend that you don’t feel what you’re feeling. Ignoring the messages from feelings is the emotional equivalent of taping over the gauges on your car’s dashboard. You can ignore the check engine light, disregard the oil light, and ignore the gas gauge, but if you do, eventually your car will stop running. Feelings can be like little children clamoring for your attention. The next time you experience a feeling you’d rather not feel, try treating it like a small child. Initially, you need to listen to that feeling. After you are sure you’ve heard the message, the feeling is giving you, decide what you want to do with it. Sometimes you must deal with it immediately, and other times you can defer action. What you shouldn’t do is try to ignore the message that feeling is trying to give you. Learning to work cooperatively with your feelings rather than being controlled by them or completely ignoring their messages is a skill you need to develop to have a happy, productive, life. For more on this topic, take a look at the post about the three processes for making friends with your feelings. Books are now available on Amazon, Kobo, iBooks, and many other online stores.